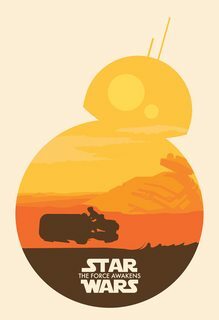 Do we ever see 2 suns/moons from Jakku's surface? My question is do we ever see anything like this in the film? 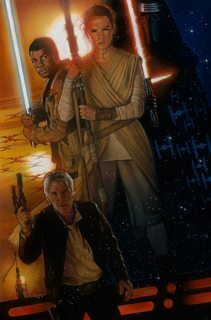 To clarify; I asking if there is a scene in which we're on Jakku (within the planet's atmosphere) and we can see 2 suns/moons/round celestial bodies up in the sky (like in the fan art)? If so, when? Do we ever see them? Yes and no. What is the object in the opening shot of The Force Awakens? This opening sequence actually shows Jakku's two moons. When watching the film, you don't necessarily catch that unless you're paying attention to the fact that the ships fly toward you/the screen. However, your questions seems as if it's meant to exclude this example. To be clear, I only included it to show that there's justification in even looking for a double-bodied system, and clear up any confusion about that (in case anyone hasn't seen that other question before). After this opening, we only ever see Jakku's sun and Jakku itself, from any perspective. As you can see, there's just the sun visible. 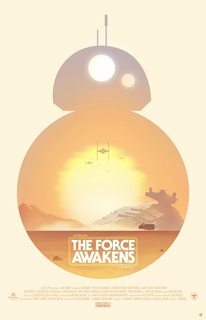 These are only shots of the sun or any other celestial body as seen from the surface of Jakku, the sky, or space1. It may be worth noting that the only night scene is the initial scene, with Kylo's assault on the village. In that scene, we have a fairly decent opportunity to see the moons. BB-8 is looking up at the night sky where the assault ships are coming from, and then the camera turns 180 degrees as he does. Either the moons are still too high overhead and off screen, or the Finalizer is eclipsing both the moons from BB-8's point of view, too. 1. That I could find. I went over all the exterior scenes quite a few times, and these were the shots. Sky and space shots analyzed included Kylo's initial raid, Finn & Poe's escape, the Millennium Falcon's flight, and cuts back to the Finalizer. How deep was Coruscant's surface buried? Did Darth Vader ever see Ahsoka again? When do we see Poe Dameron on a speeder? Was the homing beacon ever removed from the Falcon? Was Starkiller base ever tested? Was Maz Kanata ever approached by the Jedi? 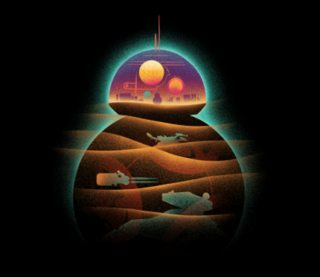 Does Ahch-To actually have two suns? Do we ever see two suns over Ahch-To other than in the final scene?